Fill out the form below to have Elite Faces contact you with more information and pricing! Enhance And Embrace Your Natural Beauty! 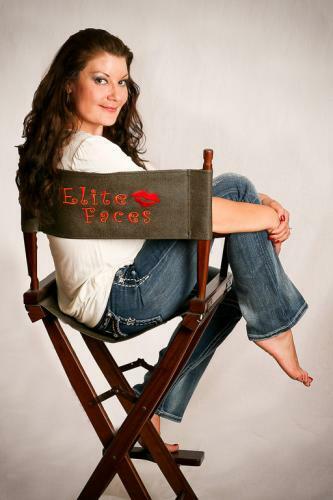 Barb Canter is founder of “Elite Face’s Skin Care and Makeup Artistry”, with over thirteen years industry experience. She is a Licensed and Insured medical Esthetician and Certified Laser Technician qualified to perform services such as skin care consultations, facials, airbrush makeup and tanning, eyelash and brow tinting, facial and body waxing, chemical peels, etc. Note: Please check the Elite Services tab for services currently offered. Barb has a passion for beauty and fashion! She has been involved with local media services such as City Pages, Rake Magazine, various photo shoots and much more. She consults with local talent agencies and local movie producers. Makeup Artist and Stylist will Travel! Barb Canter is a licensed Medical Esthetician and Advanced Aesthetic LaserSpecialist. Angela Canter her sister is a Licensed Master Stylist. We will come to you on location to a venue of your choice with a full selection of camera ready makeup and professional styling tools. Everyone will be ready on time, looking fabulous for pictures. Barb and Angela emphasizes the natural beauty in every face. We are skilled and confident professionals who will enhance your best features and will give you photo perfect skin. With more than 13 years experience, Barb and her sister Angela constantly strives to keep up with the latest trends in the beauty and fashion industry.